A cesarean section—more commonly known as C-section—is the surgical delivery of a baby. 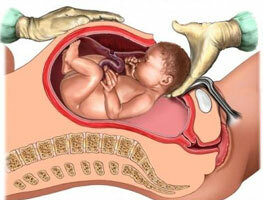 It involves one incision in the mother’s abdomen and another in the uterus. C-sections are normally evaded before 39 weeks of pregnancy so the baby has proper time to grow in the womb. Sometimes, however, complications originate and C-section implement time must be to 39 weeks. A C-section might be planned ahead of time if you develop pregnancy complications or you've had a previous C-section. While a common type of delivery now, a C-section is still considered major surgery, which carries risks for both mother and child.